Mount Abraham is a 4,017 foot mountain in the Green Mountains of Vermont. The Long Trail traverses the summit ridge of Mount Abraham. It is the 5th tallest peak in Vermont and the tallest in Addison County. 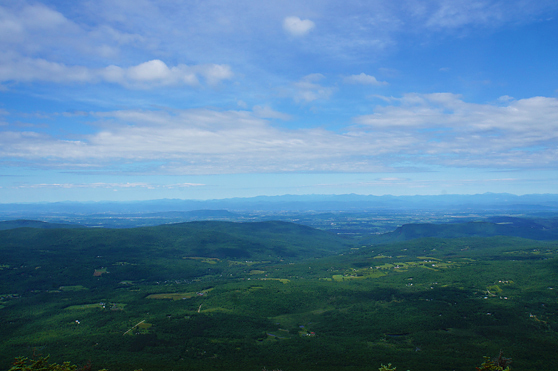 The views on the summit look to Champlain Valley and the Adirondack Mountains. The mountain is named after the 16th president of the United States, Abraham Lincoln. The mountain was known as Potato Hill in the late 1800s and this name was stamped on the benchmark of the summit. Camping is not permitted on the summit, but the Battell shelter is 1.1 miles south on the Long Trail. Mount Ellen is a 4,083 foot mountain in the Green Mountains of Vermont. 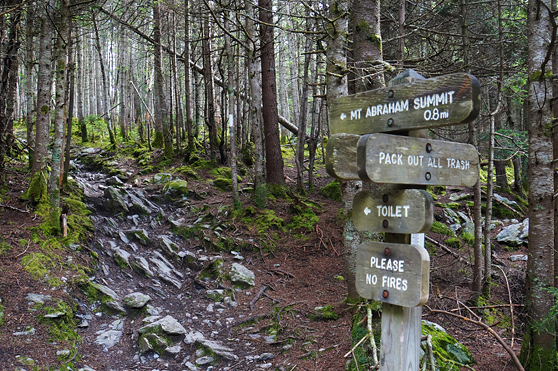 The Long Trail traverses the summit ridge of Mount Abraham. The mountain is situated between Cutts Peak to the South and Gen. Stark Mountain to the North. Mount Ellen as well as Lincoln Peak provide the slopes for Sugarbush Ski Resort in Mad River Valley. There is no views on the actual summit of Mount Ellen, but just a few feet North on the Long Trail there are views from the top of the ski lift. 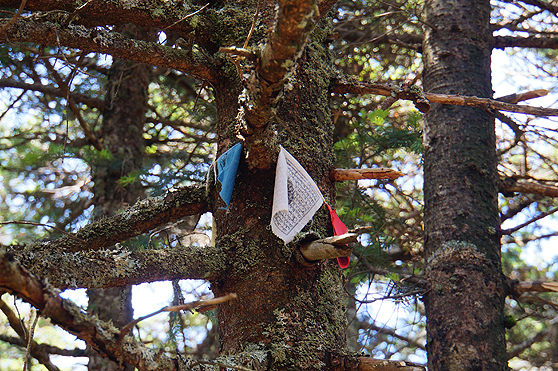 On June 28, 1973, a pilot on his way from Twin Mountain, Vermont to Newburgh, New York was trying to navigate through a thick cloud and struck some trees at roughly 3,000 feet elevation on Mount Abraham. He survived the plane crash, but parts of the place still exist on the mountain today. Plane info: Cessna 182N Registration Number N92431. To find this plane and other plane crash sites in New England visit our Plane Crashes page. 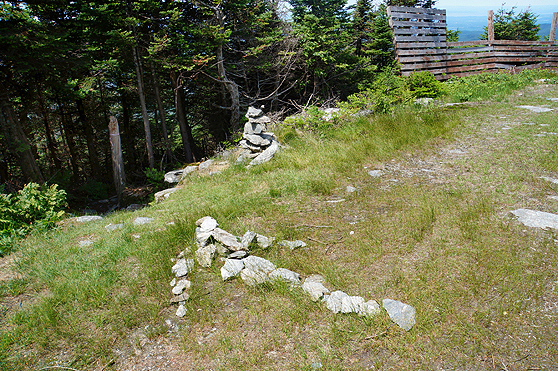 There is a map below with the plane crash site pointed out just after the summit of Mount Abraham to the North. 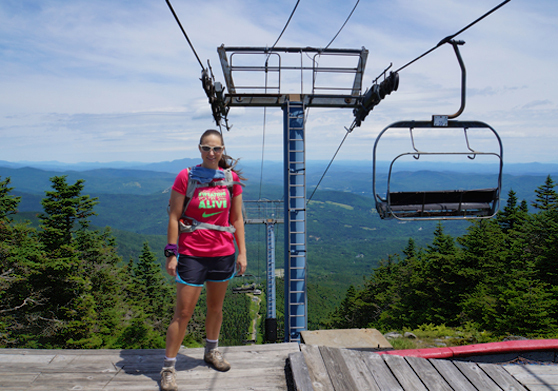 Views from the summit of Mount Abraham on July 5, 2014. 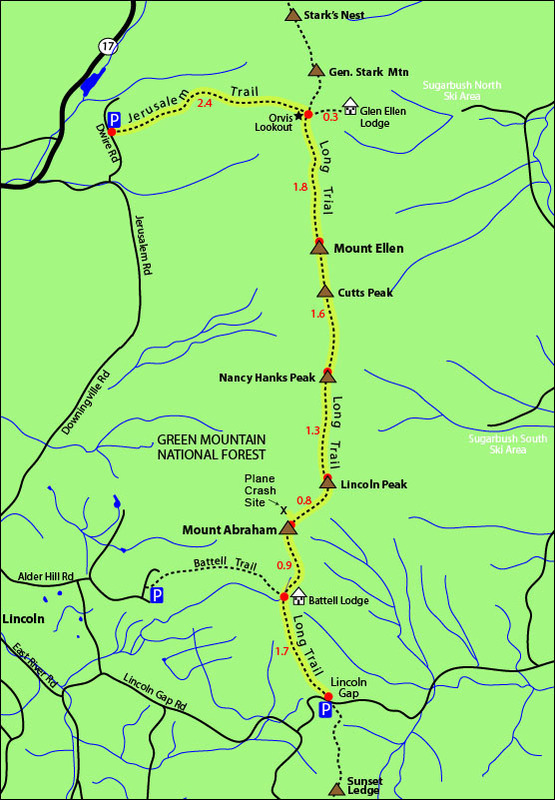 The map below shows how to get to the summit of Mount Abraham as well as Mount Ellen from a traverse of the Jim Dwire Road parking lot and the Lincoln Gap parking lot. You can begin at either parking lot, but this site will give directions starting from the Dwire Road parking lot (so you will summit Mount Ellen first). 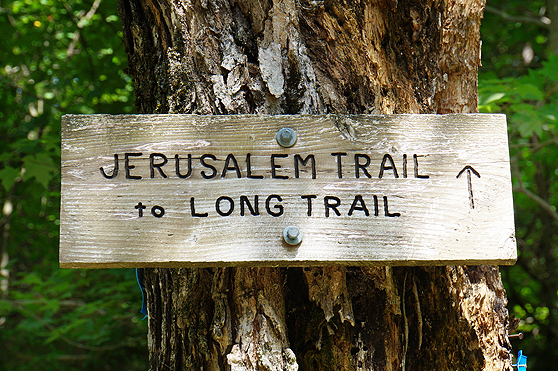 Hike up the Jerusalem Trail for 2.4 miles until you come to a junction with the Long Trail. Turn right onto the Long Trail. Hike for 1.8 miles and you will reach the summit of Mount Ellen. Sign at the Battell Shelter, just 0.8 miles below the summit of Mount Abraham. July 5, 2014. Looking at Cutts Peak and Mount Ellen right behind it on July 5, 2014. 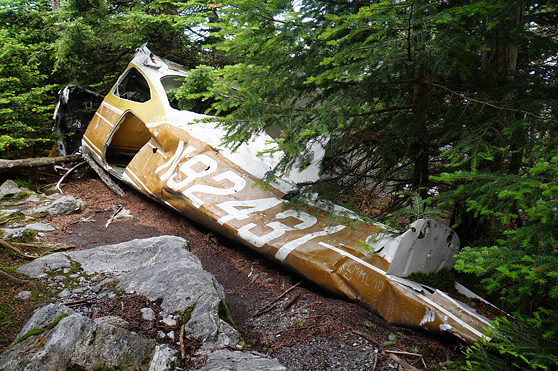 Plane crash site near the summit of Mount Abraham. July 5, 2014. To find this plane and other plane crash sites in New England visit our Plane Crashes page. 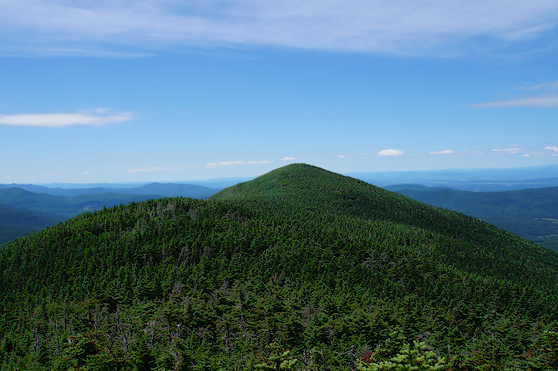 Views right after the summit of Mount Ellen heading North on July 5, 2014. Arrow showing to continue on the Long Trail, follow the arrow. Many people make the mistake of heading down the ski slopes. July 5, 2014. Sign on Dwire Road at the start of the Jerusalem Trail on July 5, 2014. The viewless summit of Mount Ellen on July 5, 2014. There are 2 parking lots for the hike mentioned above. You can begin at either parking lot, and end at the other. From I-89 North, take exit 9 towards US-2/Middlesex/Moretown/VT-100. Drive 0.2 miles and turn left onto Center Road. Drive 0.1 miles and turn left onto US-2 East. Drive 0.6 miles and turn right onto Vermont 100B South. Drive 7.9 miles and continue straight on VT-100 S/Main Street. Continue to follow VT-100 South for 5.4 miles and take a slight right onto VT-17 West. Drive 12.2 miles and turn left onto Jerusalem Road. Drive 0.7 miles and turn left onto Jim Dwire Road. The parking lot will be roughly a half mile on the right side of the road. From Jim Dwire Road, turn left onto Jerusalem Road. Drive 0.8 miles and continue on Downingville Road. Drive 3.6 miles and turn left onto Quaker Street. Drive 0.9 miles and take the third left onto E River Road. Drive 1.1 miles and continue onto Lincoln Gap Road. Drive roughly 3.5 miles to the Lincoln Gap parking lot which will be on the right side of the road.